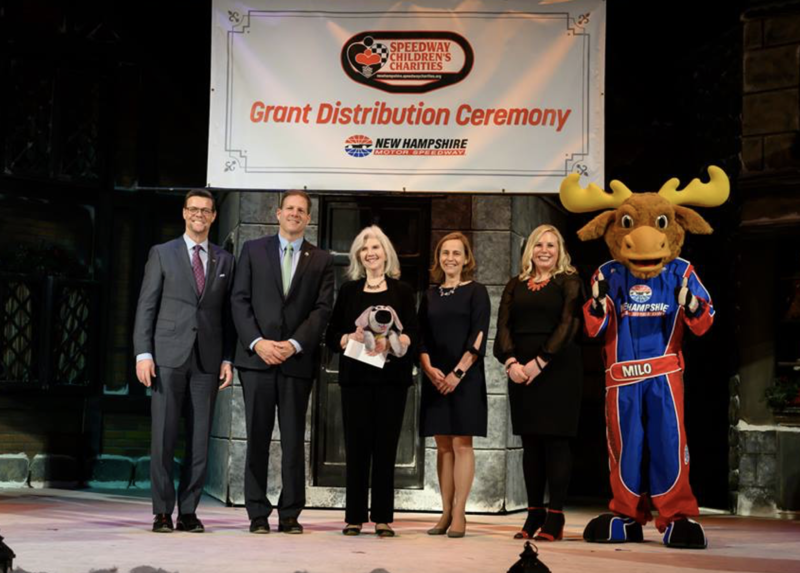 The Kennek Foundation, a 501(c)(3) organization, is dedicated to bringing about hope, resilience and inspiration in the lives of those most vulnerable going through tough times. 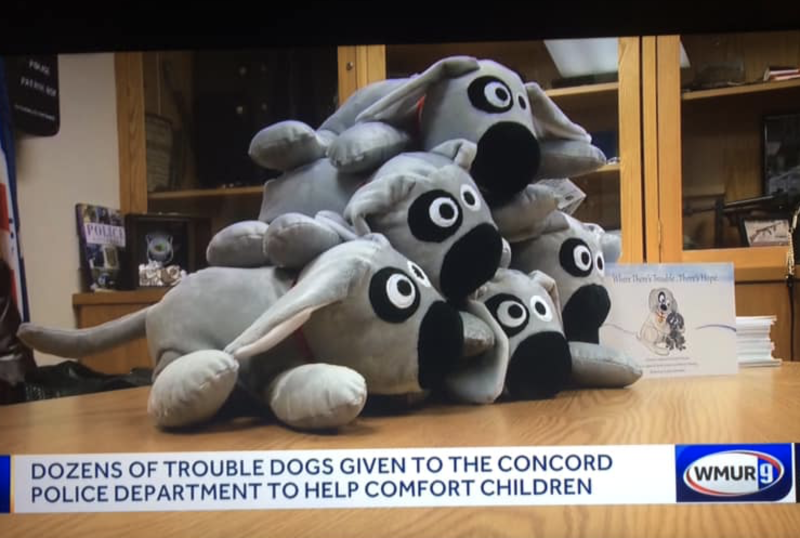 New Hampshire TV station WMUR9 reported on the donation of Trouble dogs made to the Concord police, courtesy of The Kennek Foundation and Speedway Children’s Charities NH. 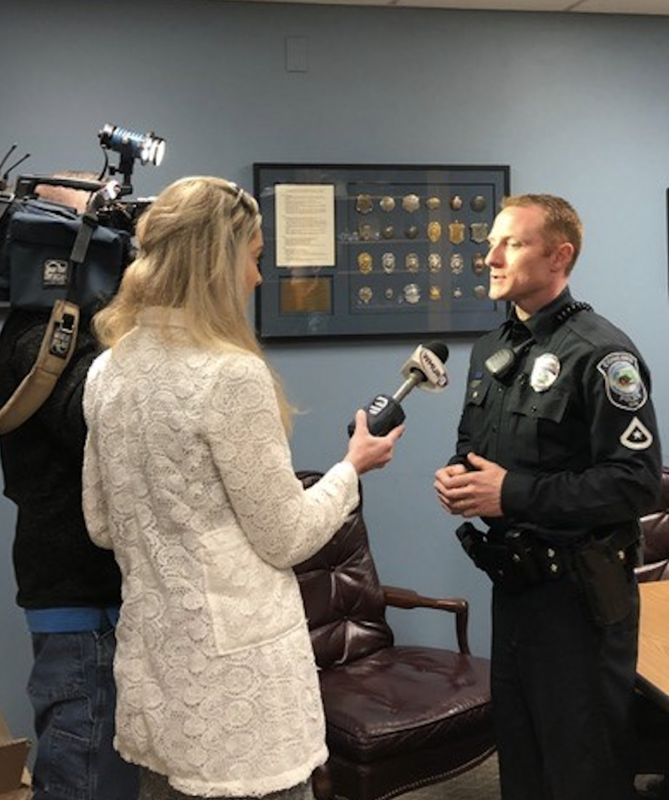 See the televised report here. 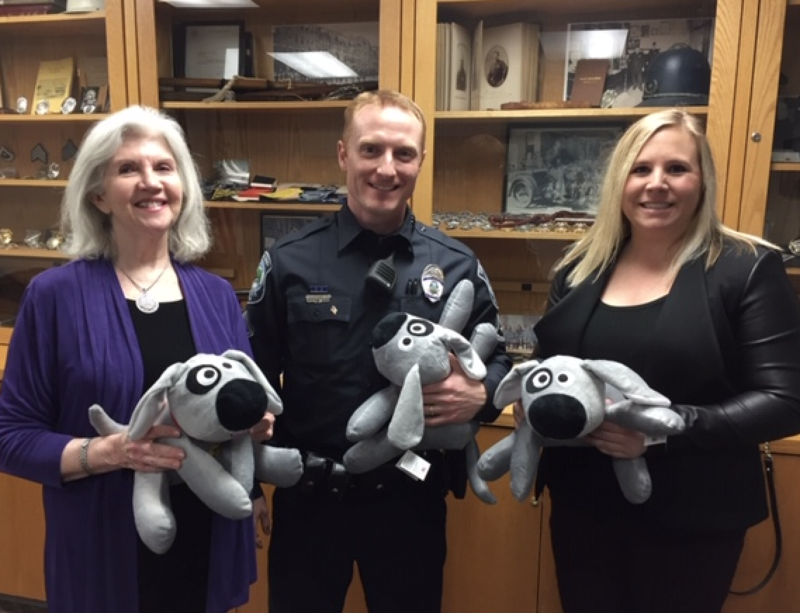 Left to right: Sheila Duncan, Officer Ryan Howe Concord, NH Police Department, Hillarie Scott, Director Speedway Children’s Charities of New Hampshire. 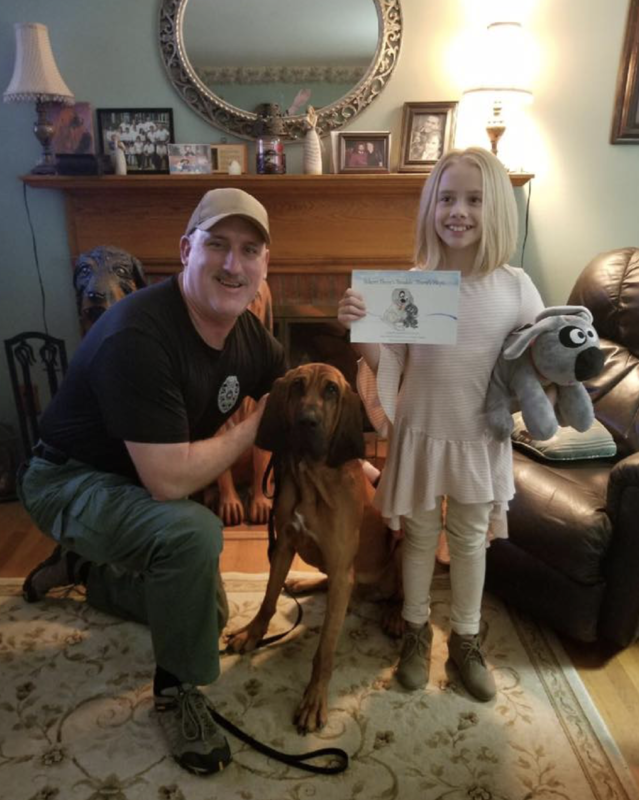 Certified therapy dog, Buckshot, and his handler, Tom Hendrickson, of the Hampton, VA Police Department are on the streets helping children going through tough times. 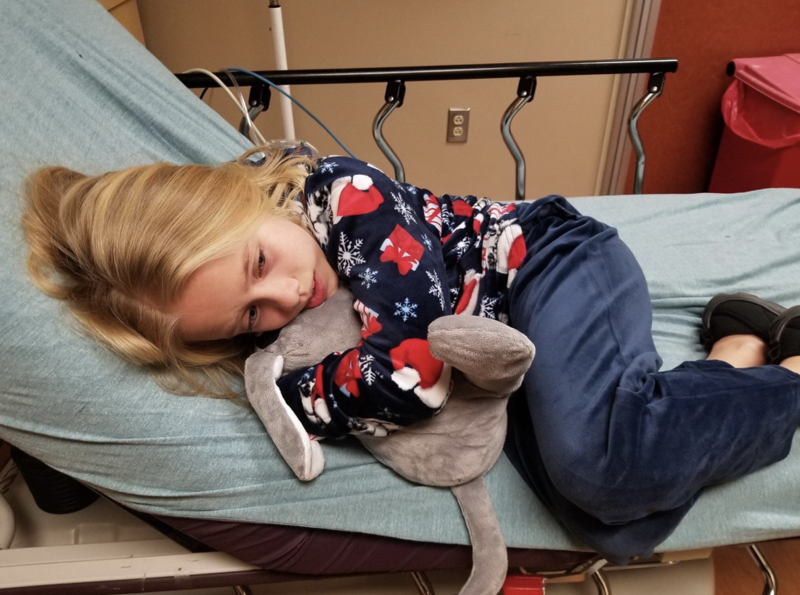 Hours after a plush Trouble the Dog was delivered to this beautiful little girl, she had to visit the hospital due to a respiratory issue. Trouble was there to help her through. 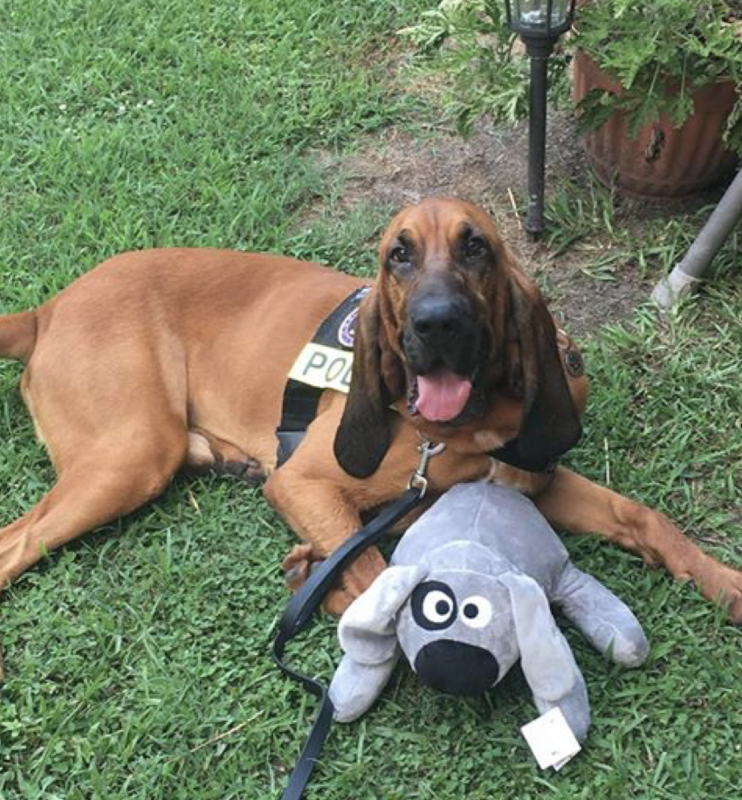 The fifth annual Trouble the Dog Motorcycle Ride will take place on Sunday, September 15, 2019. Check back soon for more details! 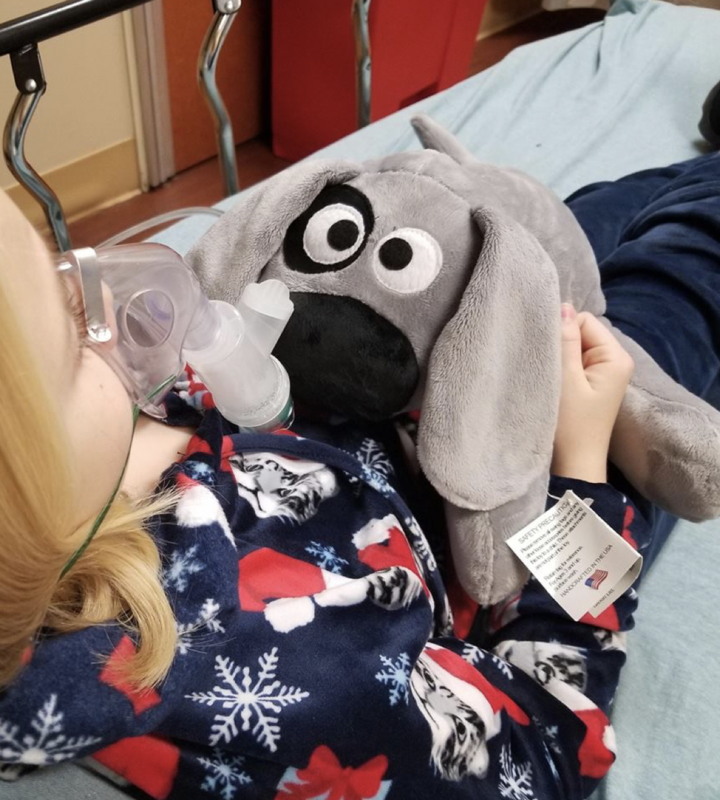 You can soothe a child now! 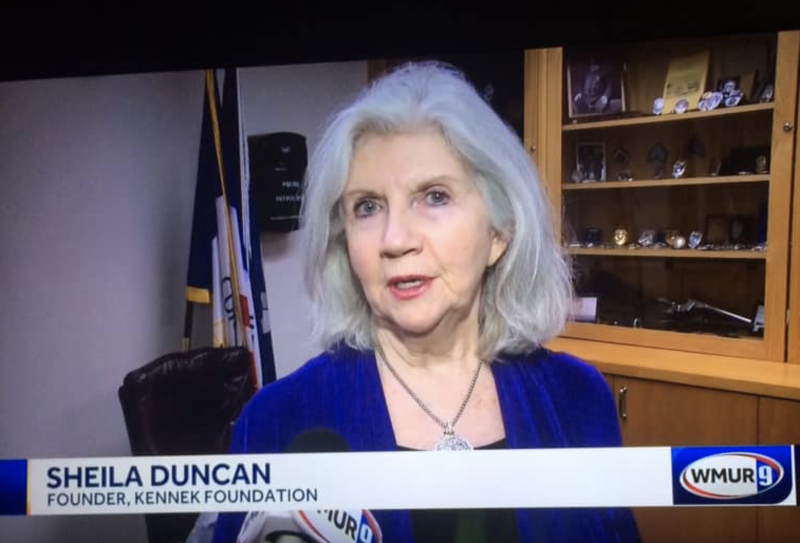 The Kennek Foundation works much of its magic with the help of an angel in disguise... Trouble the Dog. 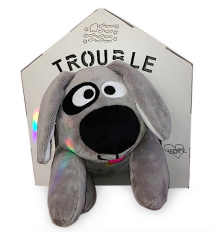 Trouble is an ultra-soft keepsake toy that is 100% made in the USA. He comforts children experiencing "trouble" in their lives -- big or small. 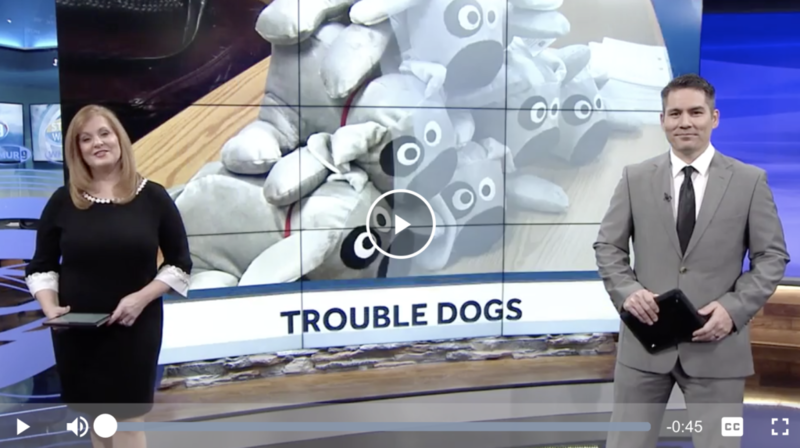 Trouble has been applauded by CNN and MSNBC as a "socially conscious toy"; a "comfort toy" and as a "therapy dog" by the Boston Herald. The children's book, "Here's Trouble" teaches kids about hope and resilience while demonstrating the power of unconditional love.